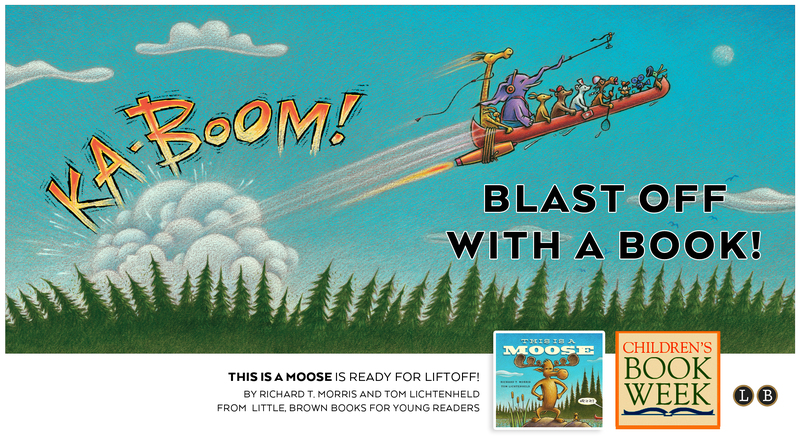 Just in time for Children’s Book Week! Moose spotted in New Jersey! 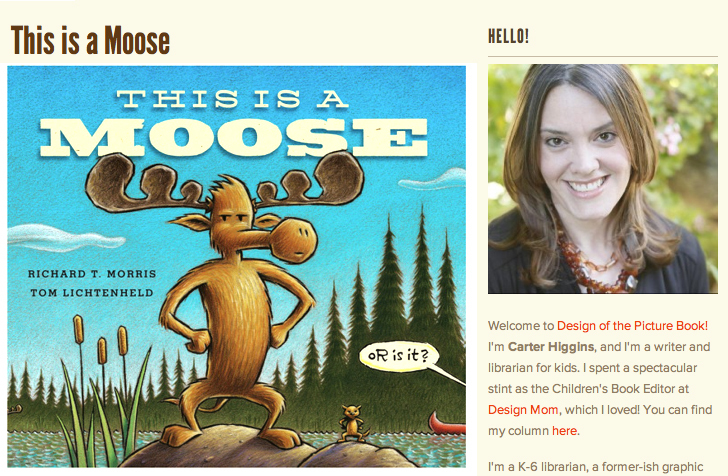 My favorite part of this posting by book blogger Carter Higgins is the pairing of her happy, smiling face alongside our crabby, old Moose. 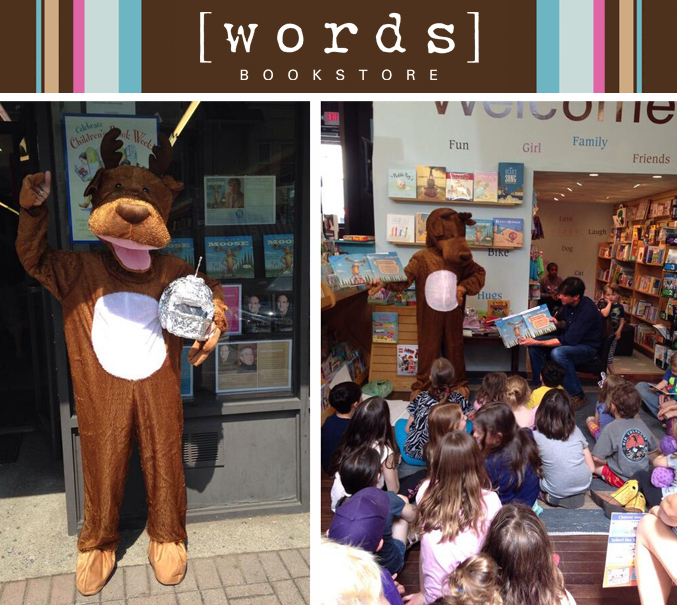 This Is A Moose is now available wherever moose books are sold. 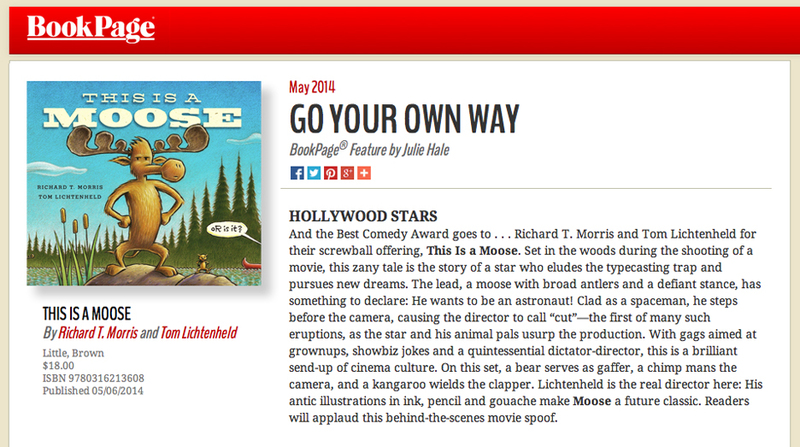 The co-star of “This Is A Moose,” releasing May 6th.